Through innovative application of electromagnetic resonance, the POWERPLAY base creates an energy field above its surface. This allows charging while in motion and delivers wireless power without interfering with the precise measurement and data transmission of a high-performance gaming mouse. Integrating the technology into a 2mm thin form factor was no simple task. 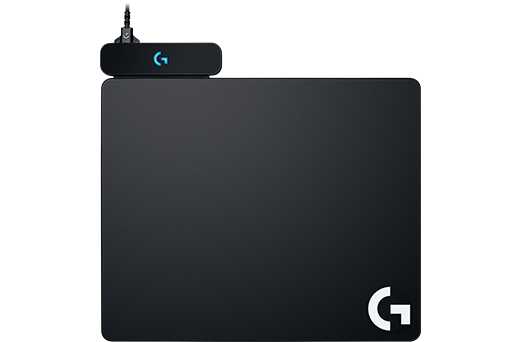 Enter: Logitech G.
The POWERPLAY energy field is transformed into charging current by the POWERCORE™ module, which attaches magnetically to compatible wireless gaming mice. The beauty of POWERPLAY is that your mouse will charge while you’re at play and at rest. We’ve made it that simple. It just stays charged. So, group up fearlessly, grind ranks, raid to your heart’s content ... Repeat. Ad infinitum. 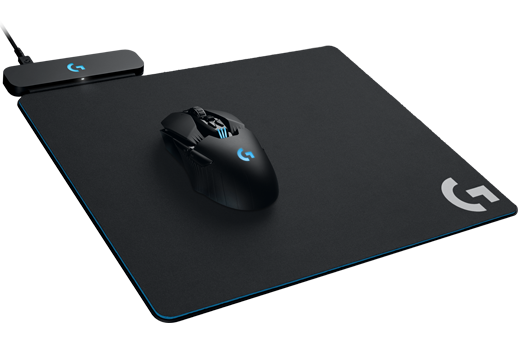 Logitech G invented LIGHTSPEED wireless technology to deliver the ultimate in high-performance wireless gaming. LIGHTSPEED wireless technology is as fast or faster than many leading competitor’s wired gaming mice. So you get the freedom of wireless with no compromises. 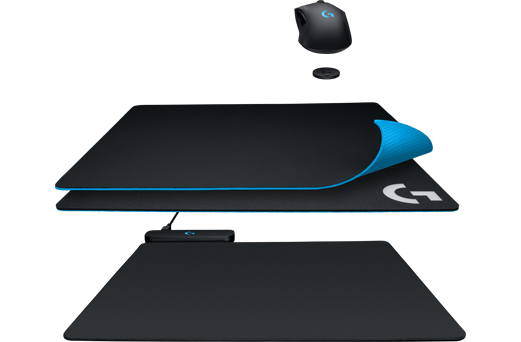 Tune your performance to your mouse pad of choice. We include both our cloth and hard surfaces so you can customize and swap interchangeably. POWERPLAY will suit your style right out of the box. 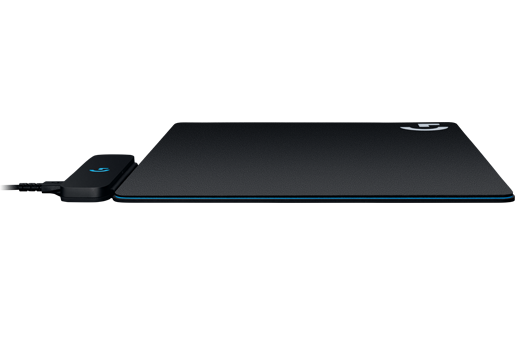 The included POWERCORE module enables compatible wireless mice for POWERPLAY. 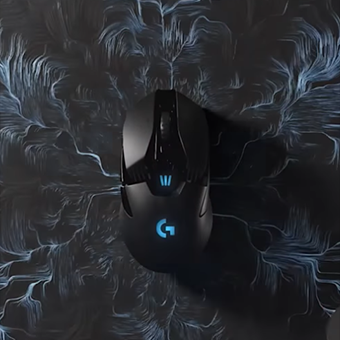 It works with the all-new G903 and G703 wireless gaming mice. Easily swap in the magnetic POWERCORE module and you’re ready to wirelessly charge. 1Requires Logitech Gaming Software. Download here. 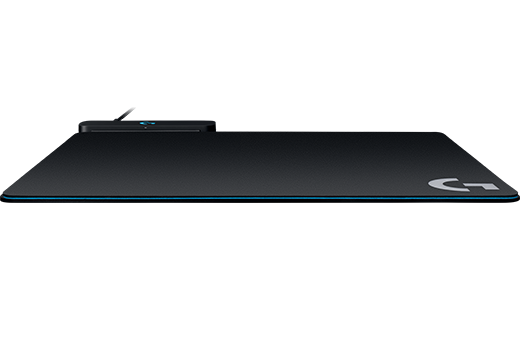 We designed POWERPLAY with a built-in LIGHTSPEED wireless receiver, so your gaming mouse can pair directly with the POWERPLAY base. This eliminates the need for an additional USB data receiver. You’re Welcome.